One thing I love to do in the summer is canning. I don’t have the garden or the trees anymore but, I don’t let that stop me. I used to pick my own produce and fruit on a small acre ranch we lived on just outside of town. I have to say I sometimes miss those days. Filled with hard work but, also packed full of rewards. These days I grab my produce and fruit fresh from the small farms nearby for my canning foods. I am sharing the beginning of a summer series of canning resources you’ll love! Along with the review of Ball Complete Book of Home Preserving and a canning recipe from the book. When I shop at the fruit stand or farmers market I feel like I’m supporting small farmers and getting the best organic produce and veggies I can find for canning. My grandmother taught me to can. She would come to my first home packed full of small kids and when they napped we got to work. Working on small batches for several days. They are memories that are close to my heart. Back then she passed on a few books she didn’t need to help me with my canning and recipes. Since moving I’ve misplaced some of those books. Luckily for me I recently have had the chance to check out a few new books on canning. Today’s book review I am sharing is Ball Complete Book of Home Preserving 400 delicious and creative recipes for today. I had a booklet by Ball Canning and it’s always been a great resource. I was excited to check out this full size Ball canning book. After the review is a recipe plus a few more resources, along with some recipes. I’ve tried. Be sure to subscribe to DearCreatives so you don’t miss out on this new summer canning series! I’ll be sharing more canning resources, online classes, books, recipes and more! Along with what I’m canning this season! When I first opened this book I flipped through the pages of recipes. 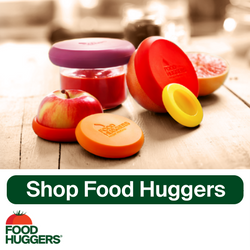 Hitting the back there is an entire section on the art and science of home food preservation. Covering basics such as headspace, acidity, spoilage, ensuring quality foods, equipment and the processes. I love the section for problem solving. And a section for purchase vs prepared yield volumes. There is an seven page glossary of terms in the back too. Not only good for the novice canner but, plenty of information for the more experienced canners. Infusing the blackberries with a delectable flavor while the cinnamon and nutmeg give it a hint of spice. (1) In a stainless steel saucepan, place 2 cups of the blackberries. Using a potato masher, crush slightly. Reduce heat and boil gently for 5 minutes. Strain through a dampened jelly bag or a strainer lined with several layers of dampened cheesecloth set over a glass measure to collect 1/2 cup of the blackberry juice. (2) Meanwhile prepare canner, jars and lids. (3) In a large stainless steel saucepan, combine sugar, cinnamon stick pieces, lemon zest, nutmeg and 2 cups water. Bring to a boil over a medium-high heat stirring occasionally. Strain and return syrup to sauce pan. Add blackberry juice, remaining blackberries and framboise. Bring to a boil over medium-high heat, stirring constantly but, gently so as not to crush blackberries. (4) Use a slotted spoon, pack hot blackberries into hot jars within a generous 1/2 inch (1cm) from top of jar. Ladle hot syrup into jar to cover blackberries, leaving 1/2 inch (1cm) headspace. Remove air bubbles and adjust headspace, if necessary, by adding hot syrup. Screw band down until resistance is met, then increase to fingertip-tight. (5) Places jars in canner, ensuring they are completely covered with water. Bring to a boil and process for 10 minutes. This is a copyrighted recipe from the book Ball Complete Book of Home Preserving shared with permission from Robert Rose Publishing. Please do not copy and share on your blogs. You can link to the recipe here on the site for your readers to grab a copy for themselves. Thank you! The book comes hardbound with concealed wire bound pages. There are tips along with variations to many recipes. You will also find pretty images scattered throughout the book but, not an image for each recipe. The canning book was originally published in 2006 with updates in 2012 and now in 2015. Published by Robert Rose. I did receive a copy for reviewing purposes. These are my 100% honest opinions. To preview another recipe or to purchase visit Amazon: Ball Complete Book of Home Preserving The book is available with Prime Amazon. Rated 4 3/4 stars by 1253 at the time of this publishing. What do you enjoy canning? Are you a novice experienced at canning? Have you ever wanted how to learn to can tomatoes? 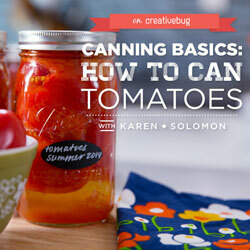 This online class covers canning basics: How to Can Tomatoes is taught by Karen Solomon on CreativeBug. I love CreativeBug classes as you can either purchase the solo class or sign up for a subscription to access all classes. 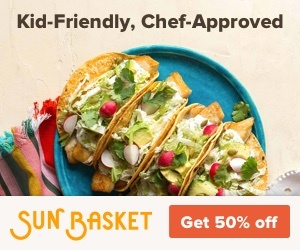 Including ones for the kids for summer! Perfect for when summer slows down and is too hot for playing outdoors. 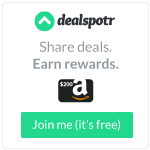 So many online classes to pick from and very affordable. Check out CreativeBug for yourself! I think and hope you’ll enjoy them as much as I do! Seeing this brings back fond memories of my grandmother canning small green tomatoes from her garden. So good! I have never canned green tomatoes but, I have had fried green tomatoes and they are pretty yummy! Another thing to consider. Did she use them for other things too? I’ve always wanted to learn how to can! I tried my hand at freezer pickles and they came out so well! Now you’ve inspired me to try my hand at canning some of my favorite summer veggies! Thanks so much for sharing! Oh and I am dropping in from Munching Mondays! So happy that I clicked your link! Hi Gina, I have never made freezer pickles. Thanks for stopping by Gina & letting me know how you found me. Hope to see you again soon. Let me know if you do can. I’d love to see what you make.